Nico was a pleasure to work with and I could not be happier with the website. His patience and hard work exceeded my expectations and the website looks fantastic. 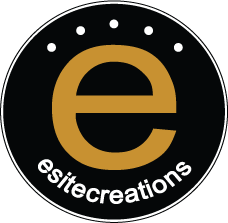 If you want to create a brand new website or refresh an existing one, Esite Creations is the company to use. Finding a first rate web designer is challenging for a small business. I was extremely fortunate to find Nico & Esite Creations to create a website for my company that was user friendly for our customers and for us. The communication during the entire process was superb and it was obvious that they were interested in developing a long-term relationship with us. Esite Creations paid attention to every detail of our design, layout, color pallet, branding, presentation, and search engine optimization. Their communication and response time was excellent and they welcomed our input and patiently heard all our concerns or recommendations. We are able to manage our own site updates as they have taught us how to access our site and to create new updates at our own convenience. I highly recommend Nico and Esite Creations for your business! Nico is always ready to go that extra mile to make my websites into powerful tools of my business. When planning the desired output, Nico takes the complexity out of the equation and breaks down the jargon into simplistic terms so I can picture the results before they hit the web. You made the daunting task of recreating and updating my website easy. Your creativity in putting it together made our site interesting to travel through while still including all the important information. Thanks for a job well done and looking forward to working with you on future updates.